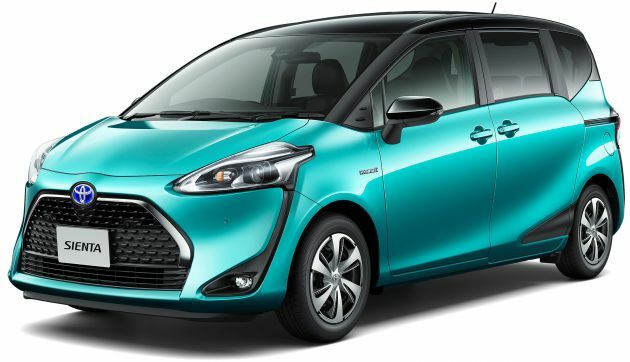 Toyota’s quirky mini-MPV, the Sienta, has been given a facelift in its home market in Japan, gaining a number of features that improve its usability in the process. The biggest news is that the car is now offered in a five-seater version, called Funbase. In this variant, the second row folds down to provide a completely flat cargo bay measuring up to 2,065 mm long, which Toyota says is enough to fit two 26-inch mountain bikes without removing the front wheels. Removing the third row also allowed the company to fit a large underfloor tray, as well as nine “utility holes” on either side of the boot. Using a system of bars and hooks, this allows for the use of various accessories available from the dealer, such as a table, a cargo cover or a luggage net. The standard three-row model – with its novel dive-under third-row seat stowage – is still available in six- and seven-seater layouts. Elsewhere, the changes are mostly aesthetic in nature and include a redesigned front bumper incorporating a new dash-patterned grille, revised head- and tail light graphics and new wheel covers. There’s also a new two-tone colour option with either a black or brown roof, while a new beige hue bumps up the total number of available paint options to 10. Other new features include a new function for the keyless entry system that, if the lock button is pressed whilst the power-sliding doors are closing, will automatically lock the doors after closing. There’s also a misplaced luggage warning that reminds the driver upon turning off the engine that luggage (or children, come to think of it) is still in the rear seats. Last but not least, Toyota has added daytime pedestrian detection to the Pre-Collision System autonomous emergency braking, an intelligent clearance sonar to protect against pedal misapplication and an optional 360-degree camera system. Engine options remain identical and include a 109 PS/136 Nm 1.5 litre petrol engine paired to a CVT, as well as a hybrid model with a 74 PS/111 Nm Atkinson-cycle engine, delivering a total system output of 101 PS. No one is excited about Toyota and Hyundai. As Toyota and Hyundai looks terrible, damn ugly and uninspiring. Moreover, Hyundai and Toyota have terrible resale value. No one is excited about Proton. As Proton looks terrible, damn ugly and uninspiring. Moreover, Proton have terrible resale value. Why not p2 rebadge this Sienta as next Alza? This model can’t even sell as a Toyota, whatmore as a lousy Perodua? Abang Toyota Malaysia nak jual apa nanti? 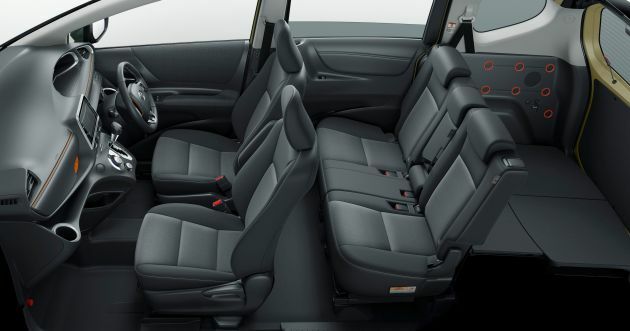 Hmmm…Toyota throws out the 3rd row in a 3 row mini mpv and calls it a feature. UMW follows with the Rush. Hahaha. Toyota Sienta used as TAXI in home country Japan, so what so proud of this Sienta? That why their engine forever no new technogy because only taxi driver is using. Do u all people know this Toyota Sienta was inspired and copy the model of hi-cut shoes like Aliph they used to wear on 80s?check the internet peeps!